I am a Learning Architect, on a mission to create a new kind of university. I value freedom, courage, kindness and ice cream. In 2015, I coordinated the joining of forces for starting Entrepreneurship Academy – a formal university focused on entrepreneurship. In August 2015, after 12 years of (social) entrepreneurship, I decided to take a break and travel the world in search of inspiration, wisdom and and allies to get my work to the next level. I traveled 22 months non-stop, visited 19 countries and connected with more than 100 projects. Now I’m writing a book that is the result of this experience. Buna Traian! Nu stiu daca iti mai amintesti, te-am rugat mai demult daca este posibil sa imi imprumuti si mie cartea lui Ken Robinson :) Am tot intrebat-o pe Alina Ciotirnel (am fost in echipa cu ea la HOLA) si nu stia ce sa imi zica. 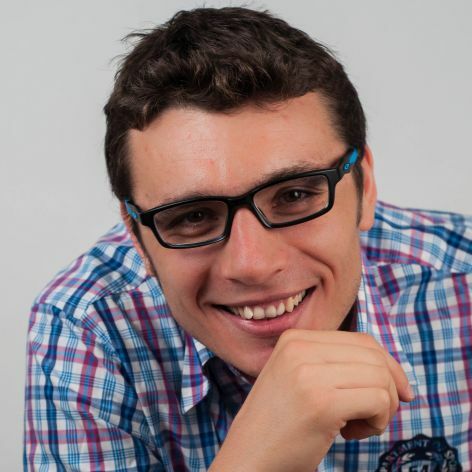 Imi poti spune tu cam pe unde se mai afla si daca va fi disponibila curand? Merci! Mi-as dori mult sa citesc carti ce au ca si continut educatia, daca mai ai vreuna disponibila, i ll be glad to read it! Facem cumva să ajungă şi cartea la tine. Scrie-mi, te rog, un email … aş mai avea ceva pentru tine.